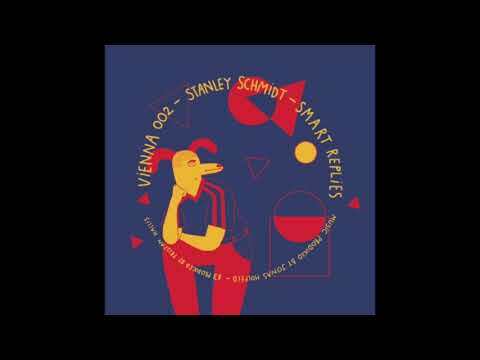 Vienna is the city in which label co-founders Stanley Schmidt and DJ Boring met for the first time. This romantic incident caused a cosmic connection, and led to the two producers teaming up and releasing a musical blast on today’s scene. Today they present us with the second release spawned from their cooperation: “Smart Replies”. The release is an impactful record of well-saturated electro, loose club-friendly sketches, and enlivened ambient soundscapes. Stanley Schmidt is a very vivid full time musician based in Leipzig who is running two labels, “PH17” and “Rivulet Records” and he’s also a popular DJ in the underground scene of Leipzig and Berlin. As a resident DJ at ‘Buttons’ and regular performances at ‘FIER’-parties, his progressive style is ever evolving via exploration through house, techno and electro, which gives him his bold contemporary style. Functioning like collages rather than self-contained songs, Stanley takes various recordings and samples out of their usual context (a well-known drum-break, an odd gabber-Skream-sample, or a computer-voice generated by Google’s AI) to form something entirely new. The original of “Shifting Modernism” opens the A-Side with intense bass and is our Bolting Bits premiere today. A breakneck rhythm with loose euphoric vocals that are interrupted by a celestial synth cumulate into a nice frenetic tune. This opening just increases our appetite for more! The joint with DJ Boring, the remix of “Shifting Modernism”, gives the EP an even more diversified sound. The Berlin-based producer manages to fit in his signature style even when working on something that’s not his typical sound. The whole record is full of little surprises and harmonic experiments of different elements. For us, it’s a welcome occasion to listen to new inspiring soundscapes. A Bolting Bits must have for any electronic music collection out there. Be sure you don’t miss out and order your 12″ here.